Glenn County is one of the many counties that divide up the Sacramento Valley. It was created in 1891 out of the northern half of pre-existing Colusa County, making it one of the final counties in California (only 4 others were created later). The county seat and only significant town is Willows. Most of the county is agricultural flatlands but there is a major wildlife refuge — Sacramento NWR — that attracts thousands of ducks, geese, and swans in winter. The county includes some of the Coast Range at its western edge, and Black Butte reaches over 7400' elev (>2250 m). Birders can reach 5000' elev at Mendocino Pass and thus bird chaparral, oak savanna, riparian, and coniferous habitats along the way. 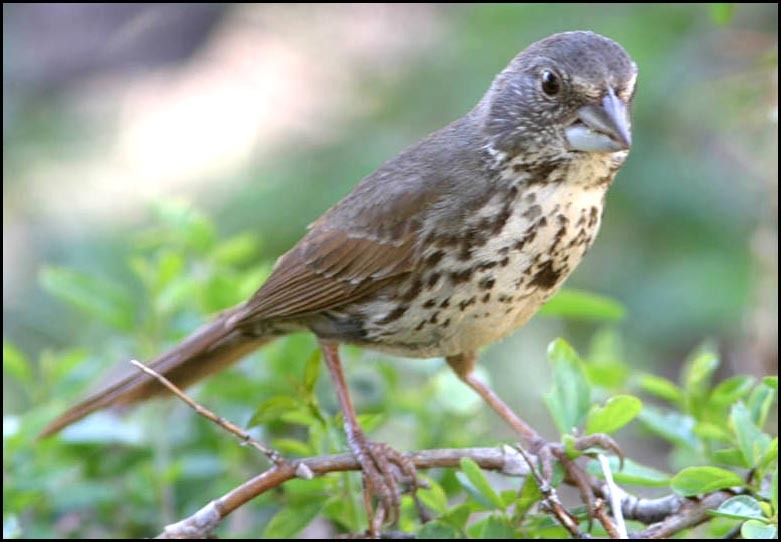 For Glenn County the feature is a nice, close view of a 'Thick-billed' Fox Sparrow, currently considered a subspecies of Fox Sparrow Passerella iliaca brevicauda, on its breeding grounds high in the mountains. It is possible that with a future split this will be a separate species P. megarhyncha. It has a huge ivory bill that is exaggerated by the angle of this shot. 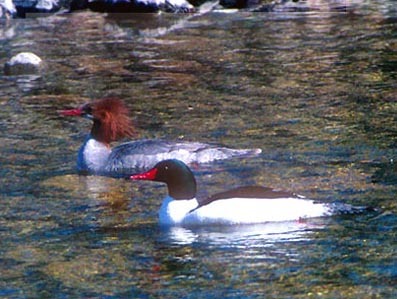 Other interesting birds encountered in Glenn include an Osprey over the town of Elk River (18 June 2006), and a pair of Common Merganser along a fast-running creek in the western end of the county (Stony Creek, 17 Apr 1998). They must breed somewhere in this vicinity. 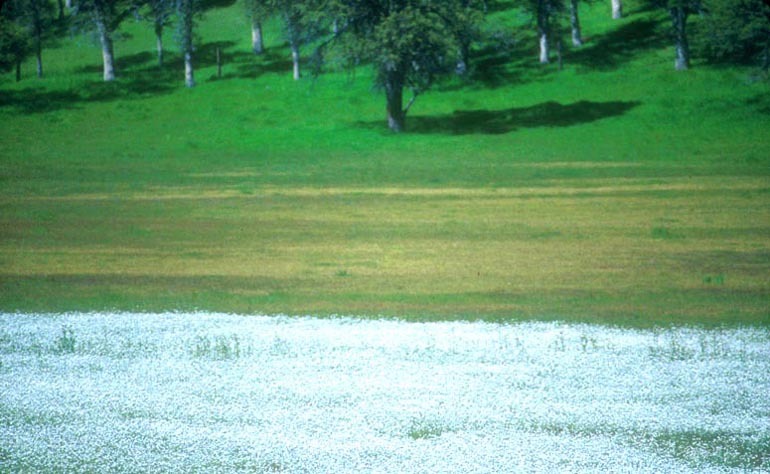 A dense blanket of white Meadowfoam flowers in a green meadow brighten a spring drive through oak woodlands along Bartlett Springs Road in western Glenn County (below; 17 Apr 1998): The second photo below shows the rich montane forest surrounding Plaskett Meadows at 6000' elevation in the western highlands (18 June 2006).